Fox Sports on MSN recently posted a story claiming Eagles team trainer Rick Burkholder has adopted a device for “robotic therapy.” According to the report, a robot arm with a special end effector can do a better job than a person at messaging muscles to loosen up the back. I wasn’t able to find any more details, so I have to wonder if this is a real robot arm (in the industrial sense), or just set of rollers and gears like you can find in message chairs at malls. A lot of devices get called robots that upon closer examination are probably nothing more than mechanical devices with a little mobility. But the term robot is more popular than ever, and at Robotic Industries Association, we are very aware of how perception is changing. It seems the general attitude for robots in everyday life has become more positive than ever over the last few years. We have seen toys like the Sony Aibo (now discontinued) and Wow Wee’s Robosapien ride a wave of popularity in the consumer market. Robotic lawnmowers continue to attract interest if not large market share. Roomba, the robotic “vacuum cleaner” seems to be the most successful product in this segment. If you have enough expendable income you might end up with one of the robots sold to the consumer segment. Even more sophisticated (and expensive) devices have made inroads in the medical, military and law enforcement sectors. There is room for debate on where this all will lead. Many pundits say the non-industrial robot market is bigger than that for factory robots. It’s not always easy to say how robots are defined in these “other” markets, and safety issues are far from resolved. As soon as concerns are raised about pets and small children you will find a dearth of information on how to protect consumers, whereas in the industrial market, worker safety around robots is very well defined by the ANSI/RIA R15.06 Robot Safety Standard which holds great weight with OSHA. Another factor not often addressed has to do with corporate investment. If the market is so huge, where are the Fords, Mattels and IBMs of consumer robotics? Perhaps the argument is that this industry is a collection of small companies and startups pounding out millions of dollars in sales on a collective basis. Nevertheless, this always makes me wonder what qualifies this collection of goods to be classified as robots. We do know that Microsoft has a software suite to standardize and simplify programming for mobile robots, which they hope will help stimulate success by companies looking to market robots to consumers. Meanwhile, every time a story comes out like the one about robots for NFL training rooms, awareness goes up and positive interest is reinforced. Robotic Industries Association is fortunate to have more than 260 company members representing thousands of professionals with tremendous technical know-how and business acumen. Our members have honed their skills in a competitive marketplace and sit on committees and a very active Board that guides Association activities. 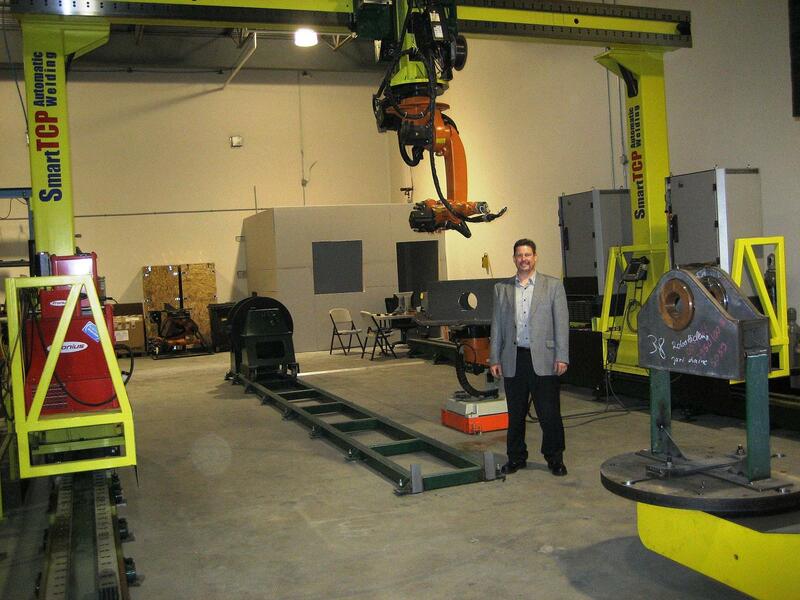 RIA is North America’s only trade association dedicated to industrial robots, a market that evolved a little over forty years ago when Unimation sold its first robot to General Motors. It is very easy to identify the industry’s main players with a simple review of RIA’s member ranks. Perhaps the service robot market is nearly ready for its own formal trade association to represent its market leaders. We are very interested in developments and needs of the non-industrial robot sector and ready to respond as needs and issues arise. You are currently browsing the Robots in America blog archives for August, 2007.